The South Georgia Conference of the United Methodist Church notes: In 1890, Mr. J.W. Warren gave land for a church. 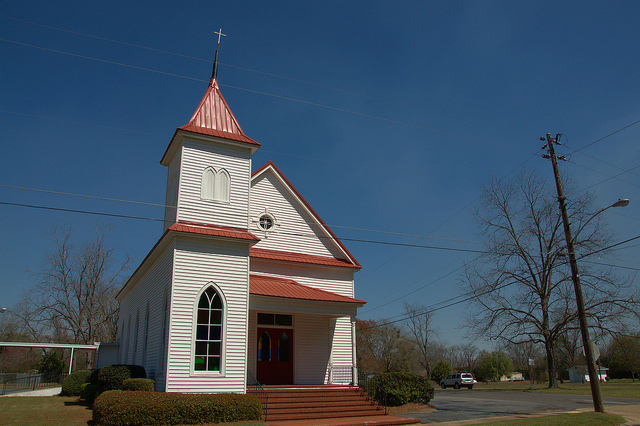 By 1893, a church and Sunday School of 50 members had been organized and a building had been erected. Rev. E.M. Wright was pastor in 1895. In 1904, a winter storm partially destroyed the building, and the following winter another storm completed the destruction. The present white frame building was erected in 1906, but its bell is from the original church.